According to the Pew Research Center, the “Christian share of the U.S. population is declining, while the number of U.S. adults who do not identify with any organized religion is growing.” And this is a phenomenon seen across all generations (not just younger ones). 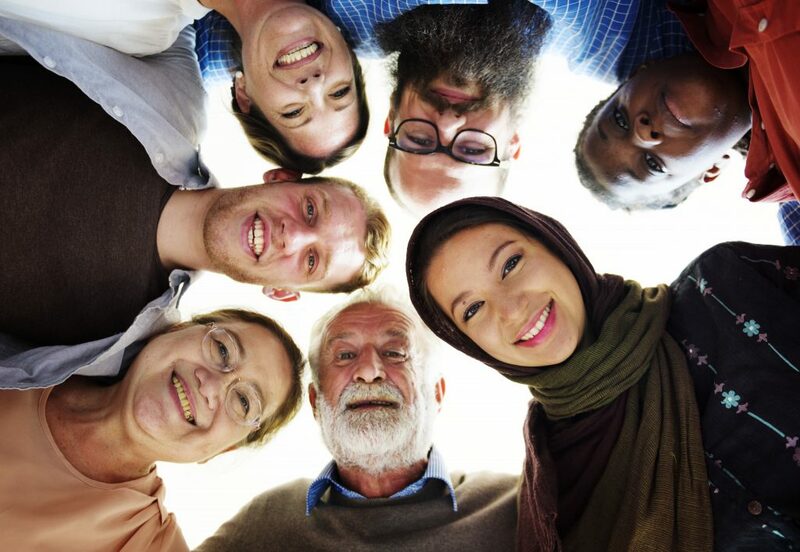 Compared to a poll conducted in 2007, there has been a 2 percent, 3 percent, and 4 percent increase in those unaffiliated with a religion from members belonging to the Silent Generation, Baby Boomers, and Generation X respectively. Millennials still harbor the largest percentage increase in those who identify with no religion from 25 percent in 2007 to 34 percent in 2014. It’s a finding that, nowadays, is well known within the church and has caused much alarm. 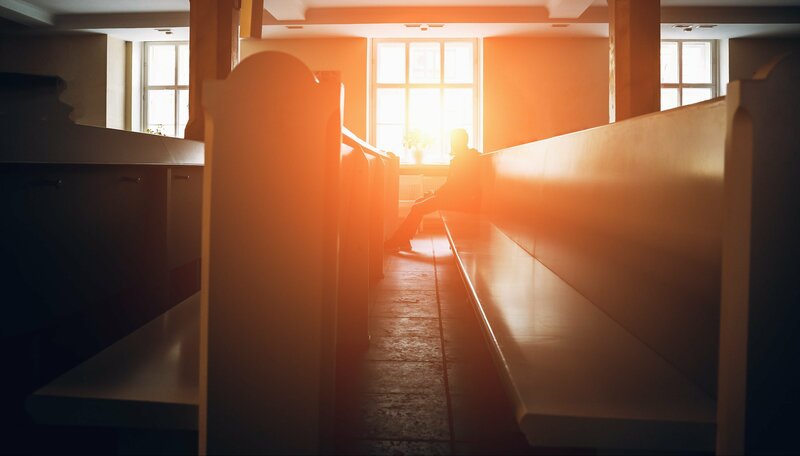 Religious leaders have acknowledged this crisis in belief, pointing to an increased secularization of the U.S. and attenuated interest in organized religion and church participation. Church engagement in the traditional sense is diminishing, therefore greatly affecting traditional forms of Christian ministry. Yet the church is simultaneously experiencing an outpouring of the Spirit in unique and rich ways. While the crisis of diminished church participation and belief is real — and a problem that needs to be taken seriously — there are still countless fruitful works of ministry thriving in our communities, ones that often look different than traditional ministry forms in order to meet the novel and varied needs of today. In other words, although statistics reveal a sobering story about the direction of the church, there is still reason for hope. Indeed, Christians of all ages, backgrounds, and denominations are heeding God’s universal call to ministry — be that both in its traditional and non-traditional forms — in diverse, creative, and awe-inspiring ways. Related Article: What is to blame for why many who make up Generation Z are turning away from the church? When the idea of being called to ministry is raised, PLNU theology professor Montague Williams, Ph.D., makes a point of telling his students, whether they’re Christian Studies majors or biology majors, that if they’re Christians then they are all called to ministry without exception. “One of the main things I like to drive home, whether it’s in my Life of Holiness course or other courses, is that all Christ-followers are called to ministry,” Williams said. Williams points out, however, that there is a difference between being called to ministry in a general sense and being called to “traditional” or ordained roles within ministry. Roles within ordained ministry — which might include becoming a church planter, pastor, or theological educator — entail what is described in Ephesians 4 as the work of “equipping the saints for the work of ministry,” according to Williams. In other words, God still calls individuals to be leaders in the life of the church who equip God’s people for faithful living among each other and in the world. Williams’ point is that when someone senses a call to give all of his or her life to God’s mission in the world, that does not necessarily mean he or she is called into ordained ministry. “Our hope is that all of our students sense this call regardless of his or her major and career trajectory. When students tell me they sense a call to ministry, my response is, ‘Of course you do since you’re a Christian, but our goal is to journey together and discern how that calling may look in your life,’” Williams said. While sometimes this may entail a call to traditional ministry, like that of an ordained pastor, other times it might mean a departure from it. 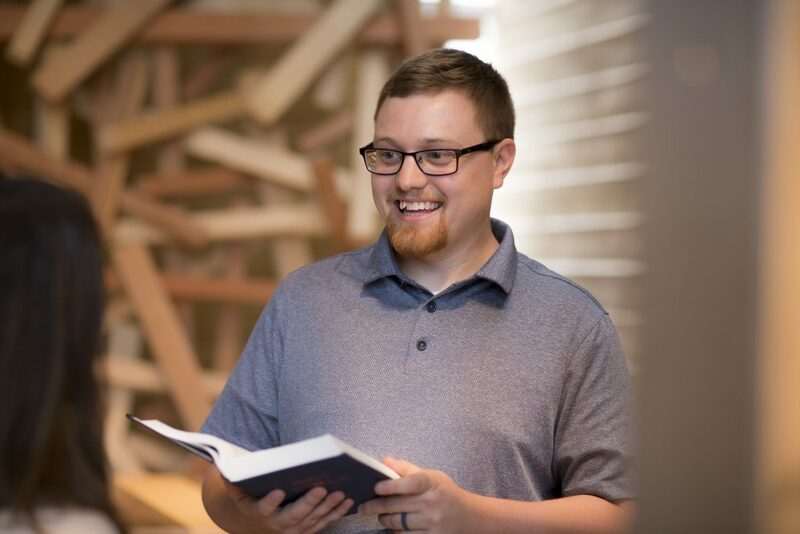 “The Christian Studies major is particularly designed for students who sense God calling them to be a part of equipping the saints for the work of ministry. However, the major also makes space for discernment, double-majoring, and preparation for a variety of graduate programs. When a junior or senior in the Christian Studies major or any other major concludes that a different route might be a better fit, I seek to be supportive while emphasizing that they are still called to Christian ministry,” Williams said. Williams mentioned that sometimes ordained ministers wonder if emphasizing that all Christ-followers are called to ministry might diminish young people’s interest in ordained or traditional forms of ministerial leadership. He resonates with this concern and even points out that he has encountered some students — especially students of color and female students — who initially struggled to acknowledge God’s call on their lives to ordained ministry, simply because they had not seen people like themselves serving in ordained ministry in their own context. In such cases, it took the consistent encouragement from pastors and theological educators for these students to imagine themselves in the kind of ordained ministerial leadership roles to which God was calling them. However, Williams also points out that the hesitation to acknowledge that all Christians are called to ministry sometimes has to do with an unhelpful fear that the work of ordained ministry will lose its significance. In the midst of the challenges the church is currently facing with declining participation, it won’t simply be an increase in traditional forms of ministry that can reverse this trend — it will be through all Christians answering their own personal call to ministry. Thus, instead of limiting a call to ministry to mean those called to explicit roles of leadership, as the church moves forward it will be more and more necessary to unpack the different types of ministry, which will encourage all Christians to see that their callings are necessary to bringing about of God’s kingdom no matter what. In the midst of the challenges the church is currently facing with declining participation, it won’t simply be an increase in traditional forms of ministry that can reverse this trend — it will be through all Christians answering their own personal call to ministry. Related Article: What does a calling to remain faithful to God look like at the brink of death? Read Jason David Sluyter’s story of being diagnosed with cancer and living to tell about his journey of faith. As mentioned above, the diminishment of religious participation in the U.S. points to the very real need for Christians to be properly equipped to meet the needs of a shifting world. While PLNU seeks to prepare all of its students to fully become who they are called to be, it offers explicit academic preparation for Christian ministry as well: two undergraduate majors, Christian Studies and Philosophy, six minors, and a master’s degree in Christian Ministry. Mark Maddix, Ph.D., PLNU’s dean of the School of Theology and Christian Ministry, views the role of these academic programs as that of forming students in both heart and mind. “In our programs we’re trying to help cultivate a sense of love of God, love of people, love of self, and love of creation, as we see in the Deuteronomy 6:4 passage,” Maddix said. M.A. in Christian Ministry student Cody Abrahamson shares a message inside PLNU’s Prescott Prayer Chapel. The School of Theology and Christian Ministry stresses the need for justice — in advocating for the marginalized and oppressed of the world — as well as humility, which embody two distinctly Wesleyan notions of Christian practice. While seeking justice and humility are necessary for the preparation of the heart, the molding of the mind remains just as important. Our students, when they graduate, understand how to better care for people, to minister to people, and to love people in whatever context they find themselves. The school recognizes that by ensuring students understand scripture and theology, especially for those called to preach and teach, it must occur through a rigorous shaping of the mind that can often best happen in an academic setting. Therefore, whether a student is earning a master’s degree in Christian Studies to answer a call to preach on Sundays or taking one Biblical studies class as a business major in hopes of becoming an entrepreneur who builds flourishing communities, the School of Theology and Christian Ministry is preparing students for all forms of ministry. Further, this shaping of the mind and heart to ready students for ministry is done primarily through a posture of accompaniment. PLNU professor of Christian ministry and practice Rebecca Laird, D. Min., commented on the importance of PLNU modeling discipleship to students, sharing one student’s experience at another graduate program. Laird asked that if the professors aren’t living out their own call to ministry as teachers and mentors, committed to both acts of love and to a rigorous life of the mind, then how can students learn to fulfill their own call to ministry? Maddix admits that many people today are unfortunately limited in their ability to imagine God’s call for them. While some might fear that ministry is taking on a broader and less distinct look, this can instead be seen as a manifestation of God’s infinite creativity in addressing the modern needs of today’s age. This diversity in today’s ministry is seen in the many forms of ministry that PLNU alumni and current students are fulfilling in service to God. Many people today are unfortunately limited in their ability to imagine God’s call for them. One example is Jamie Joseph (18), who graduated from PLNU with a degree in Philosophy. It was at PLNU where Joseph realized God was calling her to a unique form of ministry, thanks largely to professors like Mark Mann, Ph.D., Laird, Michael Lodahl, Ph.D., and Heather Ross, M.A. While at PLNU, Joseph felt a call to build a new type of community within San Diego that was rooted in Christ, which led to her starting Toast. Toast is a women’s ministry that convenes once a week for faith-based discussions as well as monthly for social events. The point of the ministry is to create a space where women from all over San Diego can come together to form fellowship and grow closer to Christ in a casual but intentionally way. In keeping with the theme, she once prepared over 100 pieces of toast for an event — each with a variety of delicious toppings — for the many women who participated. “I think as Christians we can fall into trying to separate humans from one another based on certain beliefs and practices and that, to me, is the antithesis of what Jesus was trying to do. Faith doesn’t have to look just one way, and that diversity it related to the beauty of God,” Joseph said. While Joseph is building faith-based community in San Diego, Joshua Pierce (12) is ministering to current and former drugs addicts in Tehachapi State Prison as a drug and alcohol counselor. After Pierce graduated from PLNU with a degree in Christian Ministry, he attended Nazarene Seminary in Kansas City. He has a master’s in divinity with a certificate in pastoral counseling. He had stints as an associate pastor in Merced and Whittier and planted a church in Santa Clara before arriving in his home town of Tehachapi. In addition to serving as a counselor at the local prison, he started a non-profit counseling center called Cornerstone Center for Counseling and Discipleship. When those he ministers begin asking questions he often sees an opportunity to share Christ. He explained one instance when an inmate was upset about his mother passing away and the inmate’s inability to attend the funeral, and how that led to a discussion about God’s presence in the midst of suffering. 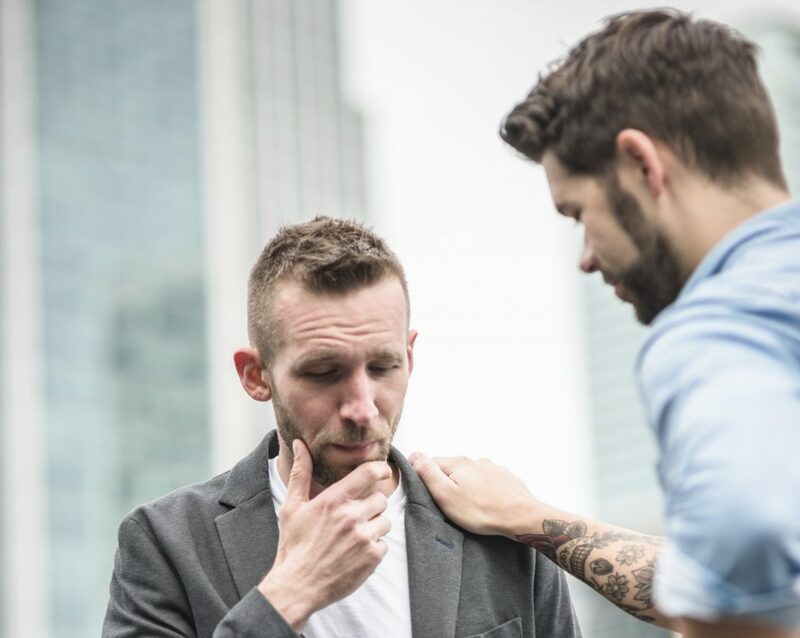 It was during that conversation when another man who had lost his son, the inciting event that caused him to get caught up in drugs and eventually land in prison, voiced his anger at God because of his own pain. Marcos Canales (05), another PLNU alum who graduated with a degree in philosophy and theology, is a pastor of La Fuente Ministries: a bilingual, intercultural, and intergenerational congregation serving within and beyond the Latina community. Canales earned his master of divinity degree at Fuller Seminary and now works in Pasadena at the First Church of the Nazarene. Marcos and Andrea Kauffman Canales (05), along with Jennifer Guerra Aldana (13), and Rosa Cándida Ramírez (11) (all PLNU alumni), have collaboratively embodied a pastoral team culture that allows La Fuente Ministries to celebrate the linguistic and racial diversity present within Latina culture while at the same time creating bonds of hospitality with other ethnicities. Canales focuses on what the many different people of color in his Pasadena community have to contribute in the way of revealing God. It’s in a commitment to the locality of the people in his midst, many of whom have been marginalized or forgotten by society, where Christ can reveal gifts to the wider church. “The church needs to look at smaller expressions of people committed to a place and the justice issues that are impacting our cities and localities. We need to be looking for the third way, which is the Jesus way,” Canales said. The examples of PLNU alumni and current students answering the call to ministry are many. There is the Christian Ministry M.A. student and Nazarene pastor Paul Karanick, who is ministering to those beyond the church walls — often to those unwilling to attend a church — who are nevertheless thirsting for God. He meets their needs by hosting concerts and outdoor church events in Orange County and San Diego, where he draws hundreds of people as he preaches and shares the love of Jesus. And then there is Tonilee Adamson (15), a PLNC nursing graduate who went back to PLNU to earn her master’s in Christian Ministry from her alma mater. She and another woman and ministry partner created Daily Disciples Ministries, Inc. They have had 22 Bible studies published, host a faith-based radio show, write devotionals online, and even built a center in Oceanside to host Bible studies and church services. As Adamson explains, they are preaching the Gospel online through their web content, on-air through their radio show, and on-land through their center in Oceanside. Alumni of PLNU’s School of Theology and Christian Ministry are answering calls to ministry in exceedingly diverse and powerful ways, be that in more traditional roles of ministry like Canalas or Karanick or less so, like Joseph and Pierce. Pierce shared a somewhat unbelievable anecdote when he explained an instance when he dropped his dog off at a dog sitter in the Bay Area. In striking up a conversation with the owners, he eventually mentioned he was a pastor. Their response: what’s a pastor? “I never thought anyone would ask me what a pastor is. And so I told them I lead churches, and they were like, ‘What’s a church?’ And I looked at them, dumbfounded, and then just said I lead a bunch of Christians. And they said, ‘Oh, like on TV.’ And I was like, ‘No!’” Pierce said, laughing. While this anecdote might at first seem disheartening, Pierce sees it instead as a great opportunity for Christians to answer the call to ministry and share God’s love. In other words, the types of ministry that God is calling Christians toward — be that in traditional or non-traditional roles — are precisely what’s needed to meet the needs of a shifting world, in which there are many who don’t know Jesus in even a superficial capacity. Innovations in technology allow for the Gospel to be communicated in vast capacities, which is why some will be called like Adamson to minister with those tools. And as the church continues to become more ethnically and culturally diverse in the U.S., more will be called to serve those communities like Canalas. “I think often in conversations about the changing landscape of the church that it’s approached with fear. But I often find that within the latino community, because our context is always based on change, it’s actually exciting because change allows us to depend on God more fully. We’ve experienced so many changes, even by migrating from one place to another. Change means that God is up to something,” Canalas said. PLNU alum Shawna Songer Gaines (06), who is currently a pastor at Trevecca Community Church on the Trevecca Nazarene University campus, also remains hopeful that God is up to something in the church. “I have a great sense of hopefulness that the church has something to say to the world and to those living in the crumbling kingdom that is secularism,” Songer Gaines said. Change means that God is up to something. Perhaps, then, ministry needs to look different today than it did in the past because of what today’s world entails — dizzying technological innovation, greater diversity in believers and worship, and increased secularism. Of course, while ministry may look different, the core remains the same: preaching the Good News of Jesus Christ to others. Still, according to Songer Gaines, there is a temptation to reduce the Gospel by making it more efficient and controllable. “When we reduce how the Gospel was translated in one time period to a formula that is supposed to work at all times and places we ultimately put the Gospel in a box, and it loses the wild power that the Gospel ought to have,” Songer Gaines shared. As Christians continue to respond to the call to ministry, there remain many reasons to be hopeful about the “wild power” of the Gospel and its ability to transforming the church and our world no matter what the future holds. It’s precisely this continued desire to bring the Gospel to all of creation, both today and tomorrow, that fuels PLNU’s School of Theology and Christian Ministry in equipping and preparing the next generation of disciples. Are you Ready to Serve God and Minister to Others? If so, PLNU offers a Master’s in Christian Ministry as well as a variety of undergraduate major and minor programs that support students through every step of the journey. We would love to help you determine your next steps. Speak with one of our admissions counselors at (619) 329-6799 or gradinfo@pointloma.edu today.